As Warner Bros. plots an entire franchise around last year’s Lego Movie, it’s enlisting Michael Cera to bring a beloved, block-ified hero to life. The Arrested Development star has inked a deal to voice Robin, trusty sidekick to Will Arnett’s Batman, in Lego Batman. Seth Grahame-Smith (Pride and Prejudice and Zombies) penned the script for the movie, which will focus on fleshing out Batman, a fan favorite character in The Lego Movie, in his own corner of the Lego-verse. Roy Lee, Dan Lin, Phil Lord and Chris Miller are all producing, with The Lego Movie‘s animation supervisor Chris McKay taking the directing reins. 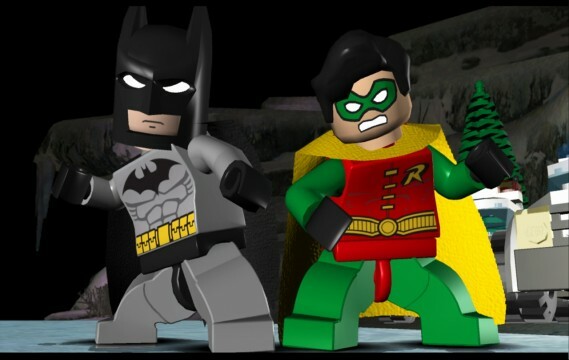 Details are scarce on the project, though there is an existing collection of Lego Batman video games that will likely serve as the source material in putting together a brick-ified version of Gotham City. Arnett has gone on record to promise “mind-boggling action” as well as an answer to the age-old question of whether the Dark Knight can ever be truly happy, but there’s little information yet about the spinoff’s actual plot. Ouside of Arnett and Cera, no other actors are yet attached, though it’s certainly possible Chris Pratt’s Emmet could put in a small appearance, further connecting Lego Batman to the original Lego Movie. For Cera, Lego Batman comes on the heels of another animated venture – adult-geared Sausage Party, a raunchy comedy about a grocery store sausage that embarks on a quest through the store in order to discover the true reason for his existence. WB has dated the Lego Batman spinoff for February 10, 2017, making it the next Lego Movie into theaters before the planned Ninjago spinoff and a direct sequel to the Chris Miller and Phil Lord-directed original.